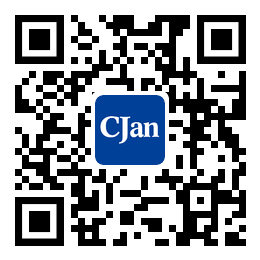 ﻿ The Type of Tube Fitting - CJan Fluid Technology Co., Ltd. The tube fitting is a detachable connecting piece between the tubing and the tubing, the tubing and the hydraulic element. It should meet the requirements of convenient disassembly, strong connection, reliable sealing, small shape size, large oil-capacity, small pressure loss and good processing technology. According to the connection way of tubing and tube fitting, the tube fitting mainly has the form of welding type, card sleeve type, enlarging mouth type and withholding type; in each form of fittings, according to the number and direction of the path of the tube fitting, have straight-through, right angle, tee and other types; Connecting with the body is threaded connection, flange connection and so on. In addition, there are some special-purpose fittings. Features: The use of nozzles and pipe welding. An O-ring end seal is used between the joint body and the nozzle. The structure is simple, easy to manufacture, the sealing is good, and the size accuracy of the pipe is not high. It requires high welding quality and is inconvenience in loading and tearing. Work pressure can be achieved 5MPa, operating temperature is -25~80℃, and it is suitable for oil-medium piping systems. Features: The card sleeve deformation of tubes can be used to seal, which has advanced structure, good performance, light weight, small size, easy to use, and widely used in hydraulic systems. The working pressure is up to the top 5MPa, and it requires a high precision pipe size, and needs for cold drawn steel tube. The precision of the card sleeve is also high. It is suitable for oil, gas and general corrosive media of tube system. Features: The end of the nozzle is the outer cone surface plus O-ring to match the inner cone surface of the joint body, screwed tightly. The working pressure is up to 16~31.5MPa, and the operating temperature is -25~80℃. It is suitable for oil medium of tube system. Features: The beveling expansion can be used to seal, and there is no need of other seals. Simple structure, suitable for thin-walled pipe connection. It is suitable for the pipeline system with low pressure of oil and gas.